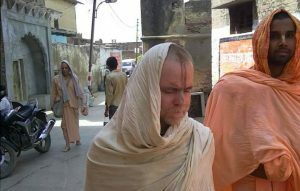 Simply the best Gaudiya style Kirtan from temples and Kirtan events worldwide. 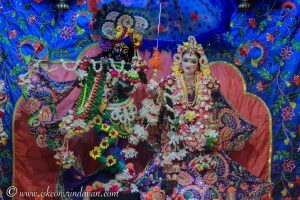 Listen to live broadcasts and recordings from Krishna Balaram Mandir 24 Hour Kirtan. 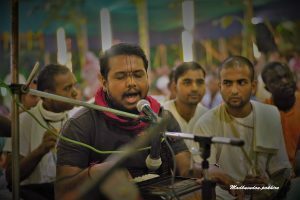 Listen to the latest recordings from kirtan festivals around the world. 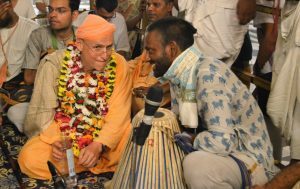 Listen to Gaudiya style kirtan recorded at Krishna Balaram temple in Vrindavan/India and at other temples and kirtan events all around the world. Tune in to our live stream for exclusive kirtan recordings, download our kirtans from our media archive or on Soundcloud. 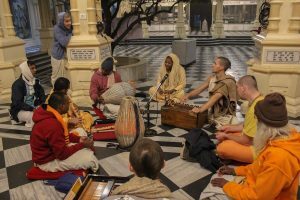 Connect with us on Facebook, Twitter and YouTube to stay in touch and get regular updates about our broadcasts and the best kirtan events worldwide.